When a university hits its 100th anniversary and still is setting new records, starting new programs and impressing visitors with its creative and energetic campus "vibe," it clearly is doing something right. That's the story at Lee University, which is celebrating its centennial anniversary in 2018 with no sign of a slowdown in its burst of growth and success. That growth has been underway for more than 30 years. 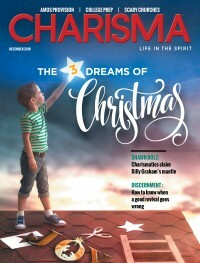 It was 1990 when this Tennessee school, then Lee College, was getting attention across the country to such an extent that Charisma magazine devoted a cover story to its dramatic ascent. Charisma's article said that since 1986, Lee "has been attracting attention around the country because of the school's remarkable recent growth. The campus has been transformed by new and newly renovated facilities to accommodate a sharp rise in enrollment that has astounded observers." That fall semester, 1,642 students had registered at Lee, the article said, concluding that "Lee's accomplishment is a near-miracle." Now, almost 30 years later, that upward curve has never flattened. The university celebrates its hundredth year with an enrollment of 5,304 students and a campus that has quadrupled in area since Charisma highlighted the school. And the growth is not just in numbers or acreage. Ambitious new programs have been added at a rapid pace, almost all of them with early and sustained success. A new School of Nursing, for example, launched in 2014 and is already one of the largest nursing schools of any private college in the region. The school has almost 400 nursing majors, full membership in the national accrediting association for schools of nursing and a new high-tech building that has been cited as one of the top such facilities in Tennessee. Another recent addition is Lee's Department of Communication Arts, which also occupies a new building complete with state-of-the-art broadcasting facilities, digital editing suites and a black box theater, all to serve a rapidly growing set of communication majors. "Lee University is entering its second hundred years with a tremendous sense of momentum," said Dr. Paul Conn, Lee's president. "We are actually more focused on our future than on our past. We have had a great run since we turned a corner in the 1980s, but honestly, we have never felt the wind in our sails more fully than we do in 2018." For a school that goes back a century, it is inevitable that the path to this point has not been without setbacks and disappointments. The Church of God founded Lee University in 1918 to train ministers. The school began in a single room with 12 students taught by a minister's wife and Bible scholar named Nora Chambers. For the next 20 years, that Bible class grew steadily into a Bible institute at the denomination's headquarters in Cleveland, Tennessee. This modest effort at higher education was called Bible Training School (BTS), and it offered a variety of short-term programs, including a correspondence school that featured Bible courses along with classes on practical ministry subjects such as preaching and evangelism. As the small school developed, the church found a home for it in Sevierville, Tennessee, when a for-profit business college closed, making available a compact campus with two dormitories, a classroom building and an assembly hall suitable for worship services. For the next 10 years, BTS flourished in that setting near the Smoky Mountains. It produced dozens of ministers and missionaries who went immediately into service within the Church of God. Many of the denomination's leaders for the next generation were trained there. In 1947, another campus became available, and the denomination took advantage of the opportunity once again. This time, it was the campus of Bob Jones College, which coincidentally was located within a few blocks of the denominational headquarters in Cleveland. The Reverend Bob Jones, a Methodist evangelist, had founded and built a Bible college campus for his followers in downtown Cleveland. Jones decided to move the college to a new campus in Greenville, South Carolina, and the Church of God bought his school's old location as the next home for BTS. The move back to Cleveland triggered two significant changes. The school was reimagined as a full Bible college offering four-year degrees, and the name was changed to Lee College. The new name honored F.J. Lee, a pioneer Church of God preacher. In 1947, Lee College/University found its natural home. Its evolution for the next 40 years followed a path of steadily increasing impact in the Church of God. First an accredited Bible college was established, and a high school division came and went. Meanwhile, the liberal arts were introduced, first as a junior college and then, beginning in 1968, as a four-year institution. Lee experienced periods of feast and famine during the middle stages of its hundred-year history. There were times of growth and progress interspersed with challenging periods when survival and retrenchment were the dominant themes. Enrollment exceeded the level of 1,000 students in the late 1960s and stayed consistently in that range for the next 20 years. The boom that caught the attention of Charisma in 1990 was accompanied by a significant broadening in the school's constituency. As the Church of God itself became more open to influences and voices within the Pentecostal/charismatic community and began to exert leadership within the larger evangelical community, Lee University followed suit. Three non-negotiable cornerstones of the Lee philosophy emerged: the lordship of Christ, the truth of Scripture and the spirit of Pentecost. As Lee began to search for faculty who embodied these principles rather than hiring exclusively within the Church of God, the school became more appealing to students and their families from a variety of denominations who sought a school with those commitments. Lee University still flourishes after 100 years both because it has changed and because it has stayed the same. Lee seems to have tapped into a huge market of students and families who want 21st-century education that is still embedded in a first-century view of Christ and the power of the gospel to shape and empower people's lives. Perhaps the saddest commentary on church-related higher education in the last hundred years is that so many institutions have changed not just their buildings and their curriculum, but have also changed their worldview. The liberalizing and doctrinal unfaithfulness of once-trustworthy colleges and universities is virtually a cliche in the evangelical community. At the same time, it is almost as tragic to see schools that have been so locked into a static, traditional mindset that they have been unable to survive in the competitive environment of higher education. They have remained faithful, but they are no longer viable, and eventually the doors are shuttered for the last time. There is a long list of schools of each category. Each represents a huge loss to the kingdom of God. The challenge for institutions of faith is to change the means and methods of attracting and teaching young people without changing the Christ-centered commitment of the entire process. "That bit of wisdom was first offered in the 19th century by a French writer, but it rings true when we think of Lee University in 2018. We look back into history, and we see ourselves; it's as if we are looking in a 100-year-old mirror. "To be sure, much has changed. I stood on a commencement stage in May 2018 and looked out at an enormous crowd gathered on our new South Campus Quad. An excited crowd filled over 5,000 folding chairs as the ceremony began. The faces of the graduates, as they marched across the stage in their caps and gowns, were projected on giant electronic screens, and the degrees they received were in such fields as political science, digital media and nursing. Afterwards, they scattered out over an expansive, beautiful campus while parents tweeted their pictures on cell phones and iPads. "It was a thoroughly modern Lee U. moment—far removed from those stern images of Sister Nora Chambers with her little class of a dozen young ministers 100 years ago. "And yet—the more things change, the more they stay the same. I stood on that stage and looked into the faces of all of those hundreds of 2018 graduates, and I saw the spiritual sons and daughters of Nora Chambers. No question about it. They have the same connection to Jesus Christ, the same sense of calling, the same courage and optimism about their future in a turbulent world. "And I looked out at the Lee faculty, resplendent in the bright colors of their academic profession, wearing regalia from the finest and most celebrated Ph.D. programs and graduate schools in the nation. A far cry from Sister Nora, whose diploma from a small Bible institute made her one of the best educated ministers in the Church of God of her time. "And yet I recognized Nora Chambers in this faculty of 2018. Like her, they are intelligent and strong. They care deeply. 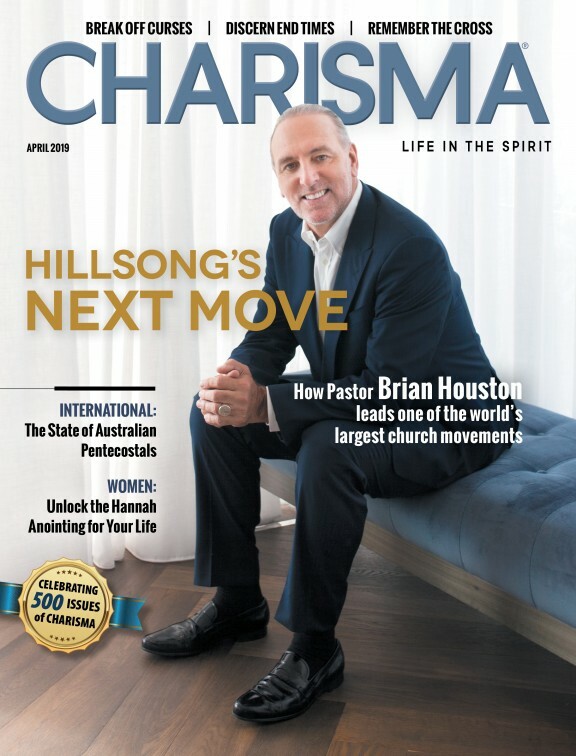 They have recognized that they can leverage their intellectual and spiritual gifts to shape the world for many years to come, just as He used Nora Chambers. "Lee has developed so impressively over the past quarter-century that I am often asked to explain how it has all happened. What is different about Lee? Here is my answer: At Lee, we know who we are. We know to whom we belong. We know why we are here. Not to build great monuments to humankind, not to seek intellectual refinement, not just to grow and improve for the sake of success itself. We are here to prepare students to be servants of God in a complex, demanding world. "Our journey started 100 years ago, and God willing, we are far from finished. In that humble classroom on a cold winter morning in 1918, Nora knew exactly what she was doing. She didn't know the shape of it or the details, but she knew it was God at work within her. The more things change, the more they stay the same." Kendra Gray is assistant to the director of public relations at Lee University.